Other Distinguishing Features: Red shiny armor. He appeared to have no eyes, ears, nose, or mouth. It is assumed that he was a robot. Red Rage was sent to kill Malcolm by Dart II. 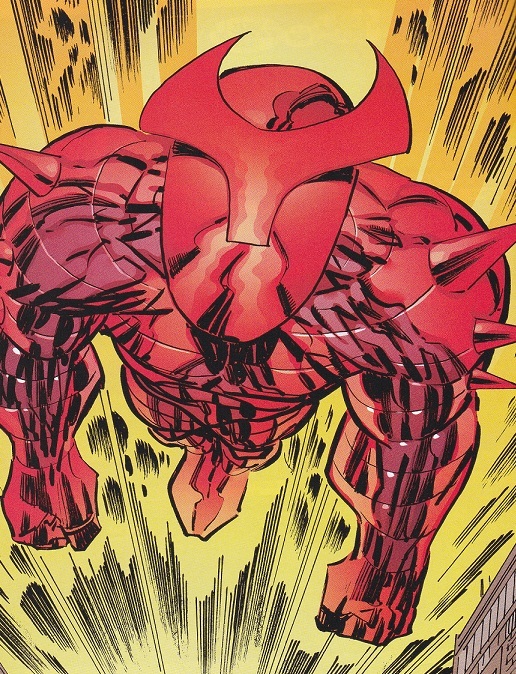 Malcolm and Red Rage battle throughout the city until Red Rage explodes. It is unclear if he exploded due to sustaining a heavy amount of damage during the battle or if he was actually used as “suicide” bomb to attempt to kill Malcolm.